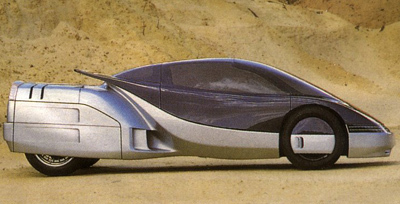 The IAD Alien was a highly futuristic proposal for an advanced mid-engine supercar. 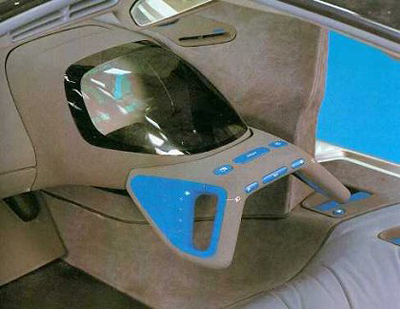 IAD (International Automotive Design), a design consultancy which was based in the UK, introduced the Alien concept at the 1986 Turin Motor Show. The design not only highlighted the company's radical styling ideas, it also showcased innovative and unusual engineering solutions. 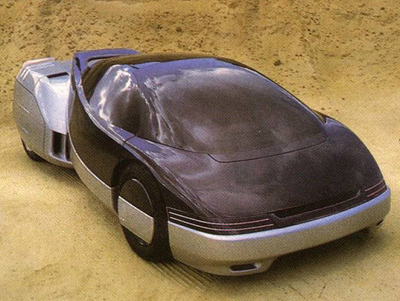 Unfortunately the car was a non-running prototype so many of these ideas were purely theoretical. 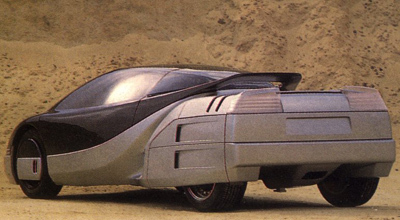 One of the more interesting ideas, if perhaps a bit over complicated, was the modular construction method which meant that the rear mounted engine of the car could be swapped out quickly and easily for upgrades, maintenance or just to suit the driver or different occasions! To access the interior traditional doors were dropped in favor of a one-piece canopy which tilted forward and provided almost unhindered entry and exit. The passenger compartment was well protected thanks to an integrated roll cage and sturdy side-impact bars.